We are the research group “Clinical Developmental Psychology" (Ghent University). We aim to study cognitive and emotional psychological mechanisms of child psychopathology, having a long research tradition in research on eating problems and obesity in children. The group is expert in behavior change techniques and published several studies on CBT treatment programs and effective interventions in obese children. The past 15 years, several related research projects were set up with the group. One project studied the influence of parental factors on children and adolescents’ eating behaviour. Several other projects stuied BED and eating disorders. Second, the role of emotional eating (and its origins) in understanding childhood obesity is seen as the central focus of our research program for the coming years. In 2013, they developed an emotion regulation questionnaire (the FEEL-KJ) and since September 2014 they were working on an emotion regulation training for obese children. The latest paper on origins of emotional eating in obese youngsters was honoured with a price on the European Association for the Study of Obesity. The group has important contacts that allow them to conduct research with large samples of obese youth such as ‘Zeepreventorium’, UZ Department of Paediatrics, Alma Hospital Eeklo and A.Z Jan Palfijn and the Flemish care organisation ‘Eetexpert’ for dissemination of knowledge. 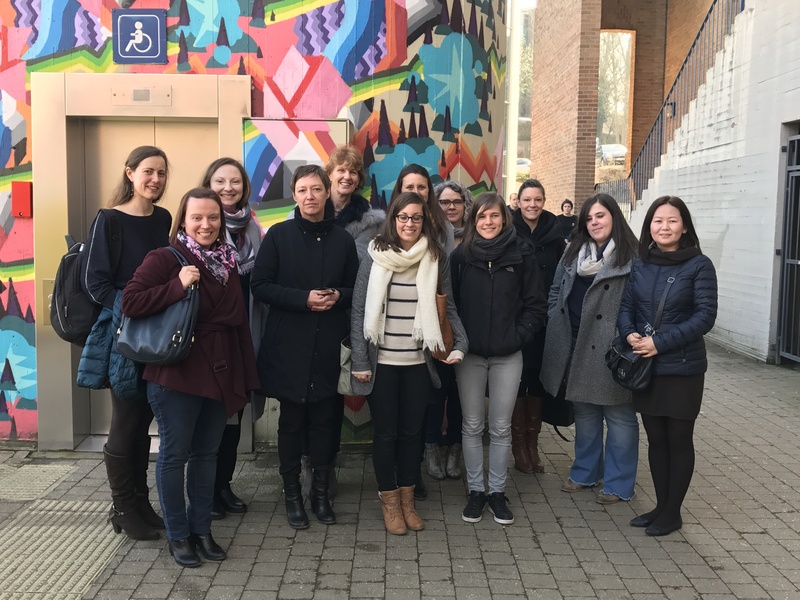 The research group is involved in important networks like the Belgian Association for the Study of Obesity (BASO) and the European Child Obesity Group (ECOG). With both they published a position paper with treatment guidelines (published in 2002 and 2014; Braet as first author).They also participate actively in the European Association for Cognitive-Behavior Therapy (EABCT). Via these contacts and those in EDRS (Eating Disorder Research Society) they exchange new psychological knowledge which has lead to the submission of a European project. We noticed however that an intense collaboration with other disciplines is highly indicated for understanding obesity. The group have a strong collaboration with the Faculties of Medicine of Gent and Antwerp as well as with the Faculties of Economy and and Food-Ingeneering. This will lead to better outstanding cutting-edge knowledge. The collaboration started with the organisation of the Danone chair lectures in 2008, the submission as copromoters of an MRP in 2009 ‘Food and Health’, an three big grant applications : one started in 2011 REWARD and two new projects started in 2017. There is also a strong network with colleagues in the Netherlands, Austria and Australia.